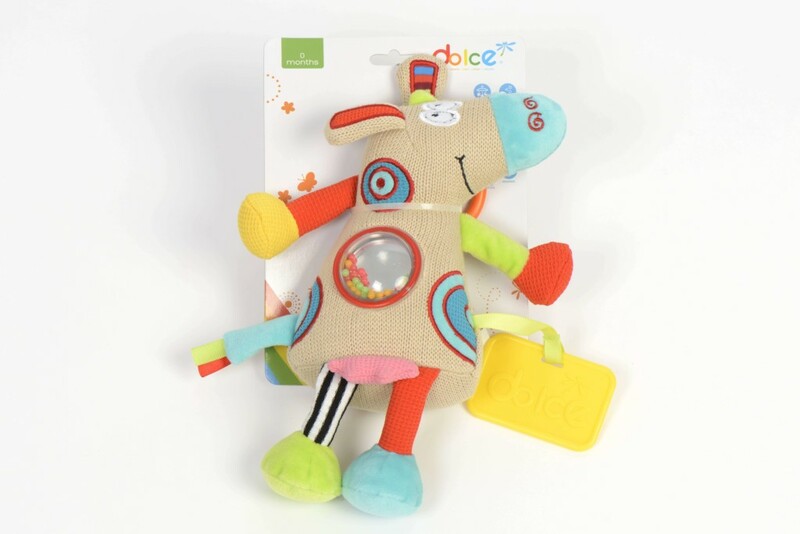 This super fun baby cow is a perfect toy to keep inquisitive young children entertained for hours. 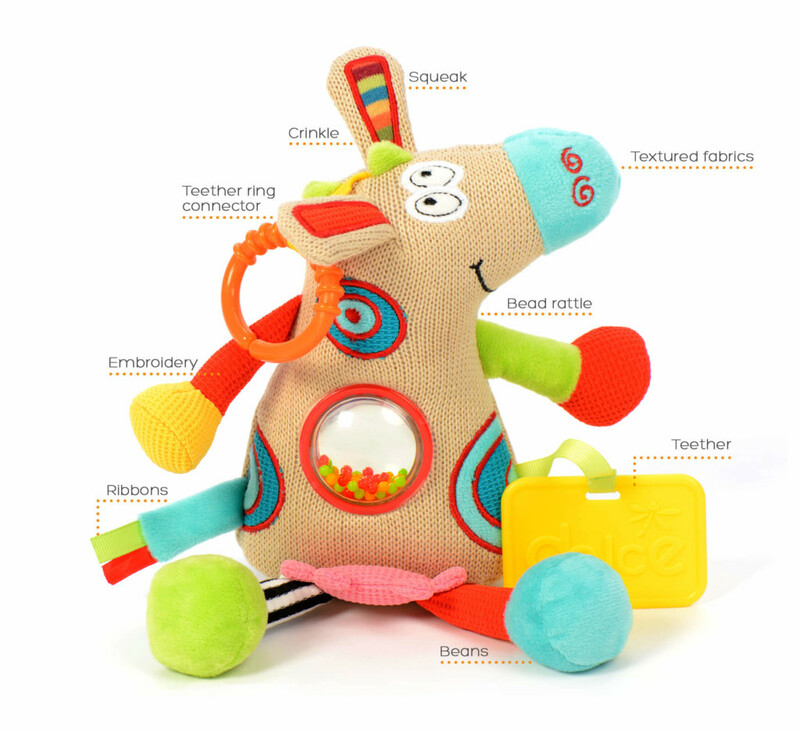 There is a colorful bead rattle in the stomach, crinkle ears and a squeaker on the nose. The teether connector on the ear can also be used to hang the toy from a buggy or cot.